The School's Out Readathon has officially ended! What a week it was! If you participated in the event, be sure to let me know how you did by linking up below or leaving a comment with your progress. As for my progress, I am pleased with the results and I had a great relaxing time in the process! Here are the details from the week. I had a slow start, but it definitely picked up by the end of the event. Now, it's your turn! Let me know how your week in reading went! 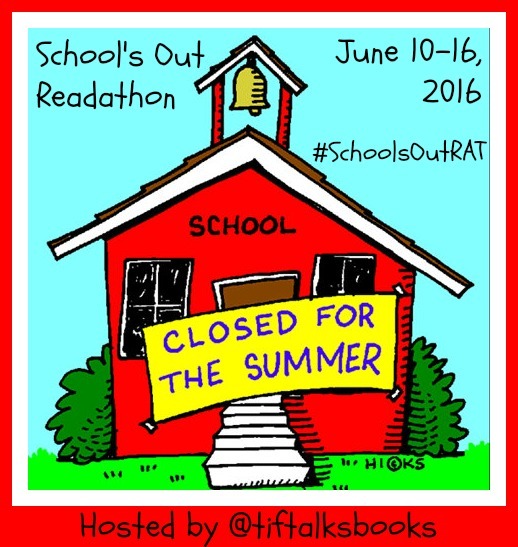 Did you participate in the School's Out Readathon? If not, how was your reading in general?